Directions: In the center of Paris, at the Metro station "Palais Royal - Musée du Louvre" or "Louvre - Rivoli". 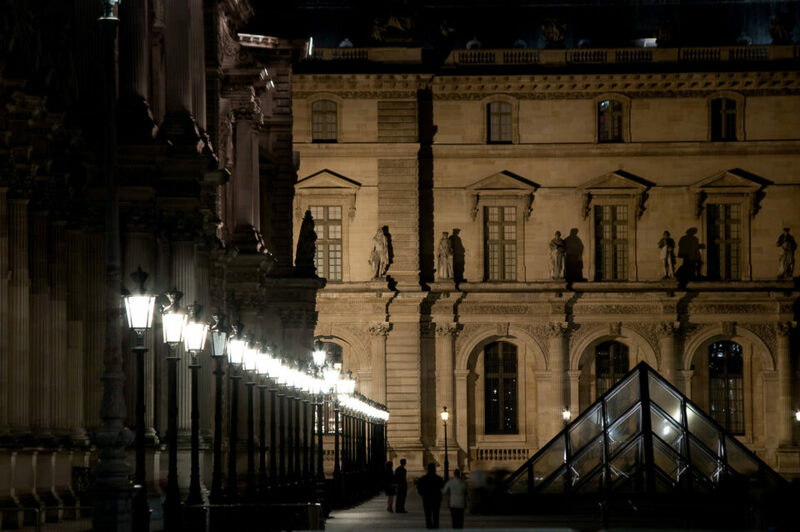 The Louvre is a very famous museum (home of La Joconde). Since 1989, a glass pyramid is in the middle of the building (designed by Pei). Highly debated when it was presented to the public, it is now a symbol of this museum. I think that at night is the best moment to capture it. A tripod is recommended, even if with high ISO it can be shot without since there are a lot of lights around. I live near Montreal. and I have spent two days at this magnificient museum with a Canon G7 eight years ago. I was amazed that they let me take all the photos I wanted (no flash). 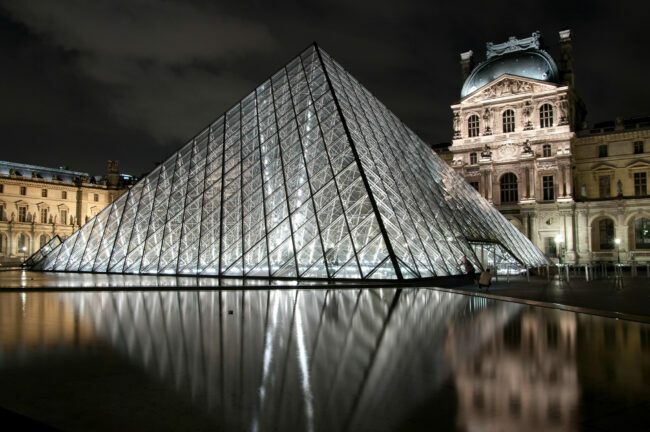 You can add to this museum a couple others such as the Arts & Métiers and Orsay.